﻿﻿A proposed 10-percent cut in Medicaid physician payment rates could shrink to 3 percent if lawmakers approve a recommendation from the Texas Health and Human Services Commission (HHSC). UnitedHealthcare says it will not publicize the ratings of physicians under its Premium Designation program until June 1 to give physicians time to question their ranking. The ratings were to be released March 30. Physicians now can submit immunization data for adult patients who want their records to be included in the statewide ImmTrac registry. Despite what you may have heard, the new $505 fee for enrolling in Medicare applies ONLY to what the Centers for Medicare & Medicaid Services (CMS) calls "institutional providers" and NOT physicians and non-physician practitioner organizations. Medicaid cost savings: TMA-member physicians this morning testified in support of a committee substitute for Senate Bill 7. The bill is authored by Sen. Jane Nelson (R-Lewisville) and was taken up this morning in the Senate Health and Human Services Committee. SB 7 focuses on ways to save money in Medicaid and the Children’s Health Insurance Program. Many provisions in the bill would reduce Medicaid payments when patients are readmitted for preventable illnesses, establish copayments for unnecessary emergency room visits, provide incentives for hospitals and physicians to reduce waste and improve quality of care, and study whether pay-for-performance is workable for long-term care. Physician employment: Yesterday, Susan Strate, MD, a pathologist from Wichita Falls and past chair of TEXPAC, testified against SB 1255. The bill by Sen. Craig Estes (R-Wichita Falls) was heard in the Senate Agriculture and Rural Affairs Committee. The measure would allow hospitals in Wise County to employ physicians. 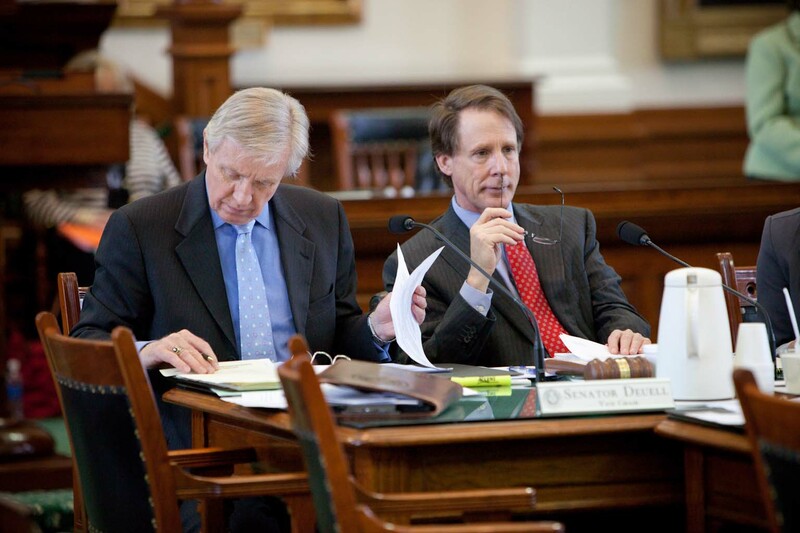 Dr. Strate testified against the bill because its provisions fell outside the scope of TMA’s and Sen. Robert Duncan’s agreed-upon physician-employment bill, SB 894, to help certain Texas counties. Dr. State told committee members that many of the small hospitals in larger markets are asking for the ability to hire doctors even though they currently don’t have problems recruiting physicians. She also said the measure would create an unlevel playing field for physicians in independent practice and inhibit market dynamics. Health care associated infections: TMA also submitted a letter in support of SB 620 by Senator Nelson that calls for changes in hospitals’ reporting of health care-associated infection (HAI) information. The changes would allow the state to participate in the National Healthcare Safety Network supported by the Centers for Disease Control and Prevention. SB 620 would help guarantee a standardized reporting process and conserve precious state dollars. SB 620 is before the Senate Health and Human Services Committee today. Tobacco cessation program: TMA also will support House Bill 1166 by Rep. John Zerwas, MD (R-Richmond), today. The bill would require the Employees Retirement System of Texas to develop a plan to provide smoking cessation benefits through Texas’ employee health plan, including prescription drugs to help people to quit smoking. The measure will be heard today in the House Insurance Committee. The Texas House will vote Thursday on whether to use $3.1 billion to cover part of the state’s current (2010-11) budget shortfall of $4 billion. Then on Friday, House members will begin debate on House Bill 1 — the House version of the state budget. The House Appropriations Committee approved the measure last week. Here is a copy of the 2012-13 budget proposal. The Senate Finance Committee is on schedule to finalize its budget bill, SB 1, next week. Restore 7 percent of the proposed 10-percent cut to physician payments in Medicaid and the Children’s Health Insurance Program. This means physicians would face a 3-percent cut, instead of 10 percent. The 3-percent cut would apply for all adult and children’s services. Stop paying coinsurance for patients who receive coverage from Medicaid and Medicare (dual eligibles) if the coinsurance would exceed the Medicaid rate. Restore 5 percent of the proposed 10-percent cut to hospitals and other providers. Reduce funding for labs and durable medical equipment providers by 20 percent, with the goal of mitigating those cuts by half if funds become available. Approve continuation of the Women’s Health Program, pending passage of legislation to extend program beyond 2011. Priority 2: Restore partial funding to Medicaid utilization. Fund targeted initiatives to reduce preventable hospitalizations and health care- associated infections. Priority 2: Add $13 million for tobacco cessation and full funding for human immunodeficiency virus medications. Restore 5 percent of nursing home rates. Department of Family and Protective Services (Priority 1): Restore full funding for foster care caseload growth and eliminate cuts to foster care providers. House Bill 1: Here is a copy of the 2012-13 budget proposal, HB 1, approved by the Texas House Appropriations Committee yesterday. The budget bill likely will hit the House floor on April 1 to begin debate. The Texas House passed the voter ID bill last night on second reading. The Senate passed its version of the bill in January. Senate Bill 14 by Sen. 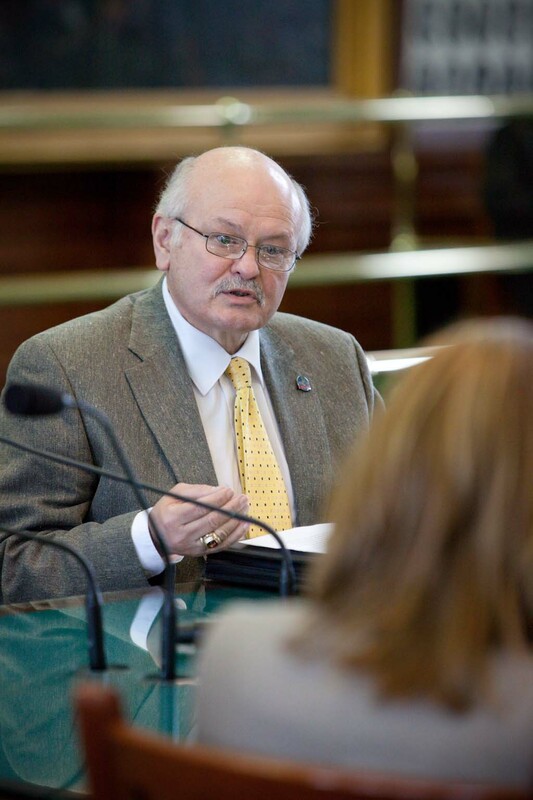 Troy Fraser (R-Horseshoe Bay) and sponsored by Rep. Patricia Harless (R-Spring) would require Texans to show a valid photo ID — such as a driver license or state-issued ID card, a military ID, or a passport — to vote. Once the bill passes on third reading, it will be sent back to the Senate, where the author can either accept the House changes or request a conference committee to work out differences between the two versions of the bill. The House Redistricting Committee will meet today and Friday to hear testimony on potential State Board of Education districts in light of the 2010 census data. Here are the redistricting maps and Census Bureau demographics. Stay tuned. The physician of the day at the capitol is Tamara Dominguez, MD, of San Antonio. Dr. Dominguez has practiced family medicine for 13 years. She graduated from The University of Texas Health Science Center at San Antonio in 1994. Dr. Dominguez is a member of the American Medical Association, TMA, and the Bexar County Medical Society. Register today for First Tuesdays at the Capitol on April 5. Meanwhile in the upper chamber, the Texas Senate is working on its own version of a budget bill ― it’s called Senate Bill 1. Yesterday, the Senate Finance Subcommittee on Fiscal Matters met for the first time to identify $5 billion in additional non-tax revenue for its budget. Sen. Robert Duncan (R-Lubbock), chair of the subcommittee, handed out assignments to each member. Their mission is to find new ways of balancing the budget through the sale of state property, tax exemptions and new ways to improve tax collections, review of state fees, maximizing the use of dedicated revenue, and more. Stay tuned. Women’s Health Program: Yesterday, Janet Realini, MD, MPH, a family physician and a volunteer for the Healthy Futures Alliance (HFA), a community coalition dedicated to reducing teen and unplanned pregnancy in San Antonio, testified on behalf of TMA before the House Human Services Committee. Dr. Realini testified in support of House Bill 419 by Rep. Mike Villarereal (D-San Antonio). In 2007, Texas launched the Women’s Health Program (WHP) as a pilot to reduce Medicaid costs by providing low-income women access to family planning services, excluding abortion. Without legislative action, the program will expire in December 2011. HB 419 would extend WHP through 2021. It also strengthens the program by requiring the Health and Human Services Commission (HHSC) to automatically enroll women in the program when their pregnancy-related Medicaid benefits end 60-days postpartum. HB 2636 by Rep. Lois Kolkhorst (R-Brenahm) directs HHSC to establish a commission to study neonatal intensive care units. HB 1983 by Representative Kolkhorst directs HHSC not to reimburse physicians and providers who perform nonmedically induced deliveries prior to the 39th week for women covered under Medicaid. It also directs HHSC to conduct a study on the impact of the policy on infant health and frequency of infant admissions to neonatal intensive care units as well as readmission rates. HB 2505 by Rep. Armado Walle (R-Houston) would establish a task force for lowering the incidence of premature births and improve the care of premature infants. Immunization: The Senate Higher Education Committee will take up SB 1107 by Sen. Wendy Davis (D-Fort Worth). The measure, which TMA supports, would require first-time or transfer students at a public or private college to be vaccinated for bacterial meningitis, regardless of where they live. Senator Davis sponsored legislation in 2009 that made Texas the first state to make this vaccination a requirement for all first-time college students that live on campus. Undocumented immigrants: The House State Affairs Committee will take up HB 608 by Rep. John Zerwas, MD (R-Richmond). The legislation would require each state agency to submit a report of the costs of services and benefits provided to undocumented immigrants. The comptroller would use these reports to produce a biennial report to the legislature on the estimated financial impact of undocumented immigrants on the budget and economy. TMA supports the bill. If you want to read letters and TMA physicians’ testimonies submitted to Texas lawmakers, you can find them on the TMA website. Physician’ licensing: The Senate passed SB 240 by Sen. Joan Huffman (R-Southside Place) yesterday. The legislation streamlines the process for out-of-state physicians to obtain a medical license in Texas. Under the measure, doctors who have held a medical license in another state for at least five years, have never had any disciplinary orders or probation, and agree to practice medicine in an underserved area would be given an indefinite amount of time to complete their licensing certification in Texas. Voter ID: The Texas House will take up the voter ID bill today. The legislation requires Texans to show a valid photo ID — such as a driver license or state-issued ID card, a military ID, or a passport — to vote. The physician of the day at the capitol is Keith Miller, MD, of Center. Dr. Miller has practiced family medicine for 23 years. He graduated from the University of Arkansas School of Medicine in 1985. Dr. Miller is a member of AMA, TMA, and the Shelby-Sabine County Medical Society. U.S. Rep. Michael C. Burgess, MD (R-TX) has again filed legislation to improve patient access to physicians by ending unnecessary lawsuits by trial lawyers, just like a similar law has done in Texas since 2003.